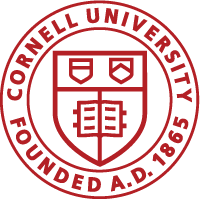 All articles published in Cornell Digital Marketing are submitted by students and do not reflect the opinions of Cornell University. Further, we have recently experienced cases of students submitting articles to Cornell Digital Marketing that contain subtle advertisements or offensive content. In those cases, we removed the articles promptly thanks to whistleblowing from our blog readers. If you find such content in any posts, we are deeply sorry. We request that you report any advertising or offensive content to us immediately and we will edit or remove the article as necessary. Thank you. Cornell Digital Marketing is a collection of Cornell student-submitted articles on digital marketing. If you are enrolled at Cornell and would like to submit an article, please email us. Of all the many different sectors of business, marketing is arguably one of the fastest evolving niches. And while trends come and go, research suggests that education-based marketing always yields results – regardless of the time or industry. How businesses deal with this information will play a key role in their success moving forward. According to Trey Ryder, a self-proclaimed education-based marketing expert, you have two choices when it comes to marketing your brand or products. The first option is to implement sales-based marketing. This is the traditional approach where you try to sell people on a message, also known as a pitch. While still useful, this method has become less effective over the past few years. The second method is education-based marketing. “In this specialized field, you take on the role of a trusted advisor and educate prospective clients about their problems and the solutions you can provide,” Ryder explains. Research cited by consumer education expert Bill Harvey shows that people who engage with a company’s educational marketing materials are an astonishing 29-times more likely to purchase a product from the company than those who are informed through traditional media advertising. Other benefits include the ability to build trust with potential customers; the chance to develop deeper levels of engagement; the establishment of brand authority, the identification of knowledge gaps in customer understanding; and more educated buyers. Research also shows that brands that teach customers how to do something are generally able to differentiate themselves from the pack in highly crowded and competitive industries. For example, Ikea doesn’t just sell furniture. They actually ask customers to put the furniture together. While this may be a turnoff for some, it leads to a greater sense of brand engagement for others. Trader Joe’s is another example. They don’t just sell healthy food. They’ve shown customers how to eat healthy on a budget. There is clearly value in education-based marketing. But for brands that have traditionally implemented sales-based marketing initiatives, making the transition can be intimidating. The key is to take things slow and make it as natural and organic as possible. Good education-based marketing starts with the knowledge of who the target customers are and what issues they’re experiencing. This is something John Stevens, CEO of the web hosting comparison site HostingFacts.com, was aware of when he launched one of his company’s recent campaigns. In terms of organic online education, blogging is the way to go. With an active blog, you have the ability to develop strategic content that resonates with your audience and moves them through the decision-making funnel from awareness to action. The important thing with content is for the brand to acknowledge that they feel the customer’s pain point. This awareness of friction can then be used to introduce the concept that the brand wishes to educate the reader on. For brands that are looking for more intensive ways to educate, live streaming video, webinars, infographics, and social media Q&A sessions can be thrown into the mix. While digital marketing gets most of the attention today, there are still tremendous opportunities to educate customers offline. For physical businesses that actually have customers come in and out of a storefront or office, printed materials – such as educational booklets – provide a tangible touchpoint. The key here is to make these booklets aesthetically pleasing and engaging. They should look more like striking magazines than stuffy newspapers or industry white papers. Except in rare occasions, customers don’t want to feel like they’re being taught. They would much rather learn in an organic fashion that makes them feel in control of the process. The more seamless education-based marketing efforts are, the less “controlled” people feel. “In its purest form,” one marketer explains, “education-based marketing is the use of shared knowledge to generate trust from your target audience.” In a day and age where customers feel like they’re constantly being sold to, the idea of generating trust is a critically important concept. Whether it’s online or offline, trust must be at the heart of education-based marketing. People don’t listen to sources they don’t trust, and customers are no different. As more businesses come to this realization, they’ll begin to invest more in authentic marketing and less in blatant advertising that gets drowned out amid the noise of the marketplace. If you would like to contribute an article to Cornell Digital Marketing, please email us.